William Edmondson talked with God. And God delivered a message: teach yourself to carve in limestone. 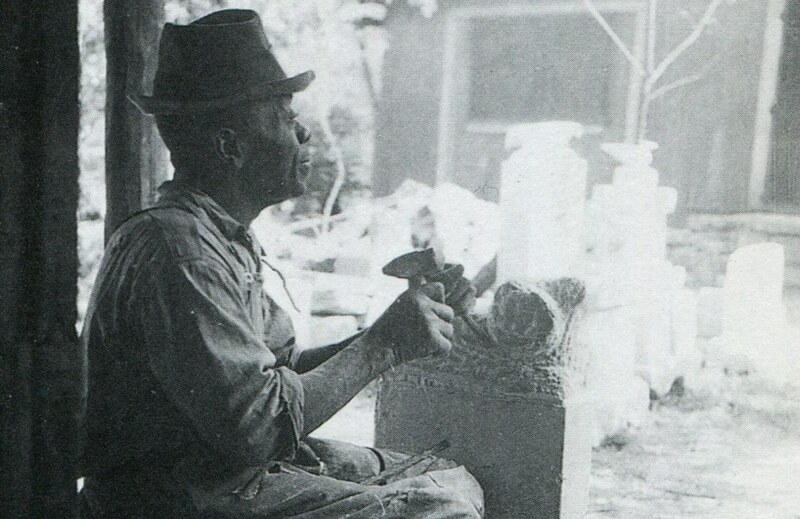 Within five years, the old janitor from Nashville, Tennessee was a master sculptor, and in 1937 he became the first African American to be given a solo show at New York’s Museum of Modern Art. What started as divine inspiration culminated in a kind of miracle. Today, his sculptures fetch as much as $400,000. Yet Edmondson remains unknown outside of a small number of collectors. What inspired and drove him? How was he able to overcome the pervasive burden of discrimination and segregation and become recognized in the highest levels of the art world? What propelled his rise? What caused his fall back into obscurity? And where does his legacy live in the work of other artists? “Chipping Away: The Life and Legacy of Sculptor William Edmondson”, is a 90 minute documentary film by award-winning filmmaker Mark Schlicher, that will answer these questions and celebrate the life and art of this extraordinary artist. The film is in active production, with a planned release in late summer of 2014. It will weave together interviews with internationally esteemed artists and scholars, as well as never-before-seen first-person accounts from people who knew Edmondson. Also featured will be dozens of rare photos of Edmondson at work. We’ve already accomplished a lot since we began in January, 2013. We’ve done a ton of research in books, libraries and museums, and several core interviews are in the can. But many important interviews and other filming still needs to be done, and hundreds of images must be found, obtained and licensed. We are actively raising funds to support these necessary production expenses, as well as critical research travel, editing, scoring and music licensing, and the other expenses necessary to produce a top-quality feature documentary. Please sign up for our email list, to receive occasional notices about our progress, as well as more about WIll Edmondson’s story, interview excerpts and trailers. Like us on Facebook, too. We post regular updates to our page there. Thanks for your interest and support!